StartAP Festival for young entrepreneurs will be held at Tummalapalli Kalakshetram in Vijayawada on February 18 and 19. 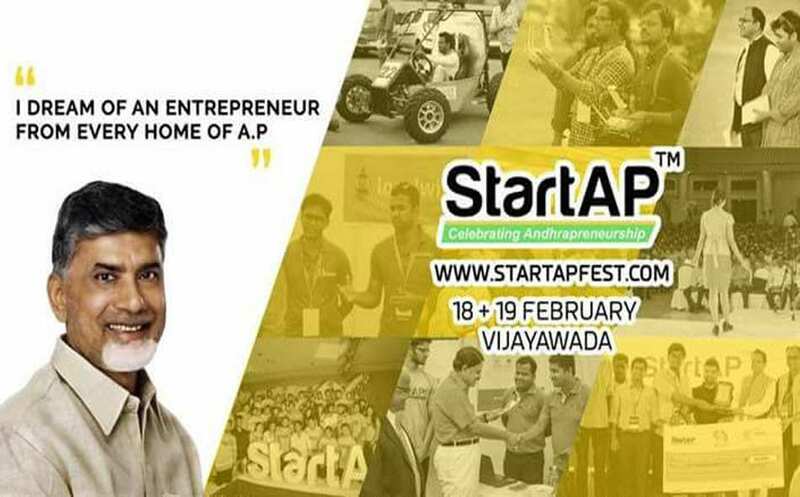 It is expected that hundreds of young andaspiring entrepreneurs will take part in the two-day Start AP Festival. This is the third edition of Start AP Fest and second one in the Amaravati Region. Previously the festial was held in Vijayawada in 2014 and later in Vizag in 2016. Start AP Provides a platform where startups pitch their ideas in the fest. Around 250 startups are applying to present at Start AP Amaravati 2017 from across AP and South India where 80 plus startups will be showcasing their products and top 20 will be invited to pitch on the stage to investors. Best Pitch wins Start AP Pitching Award with a grand prize of Rs.100000 and Top 15 startups will receive 100 percent scholarship for 3 month incubation program by Start AP and Partners.